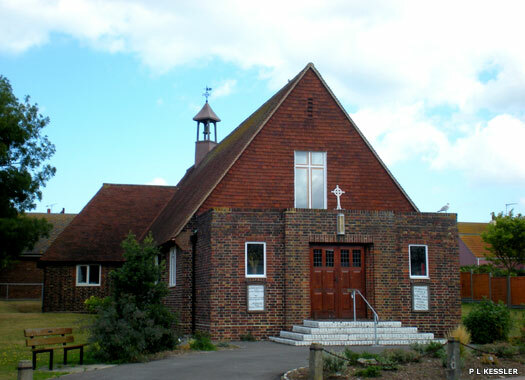 The Catholic Church of Our Lady & St Benedict is on Minnis Road. 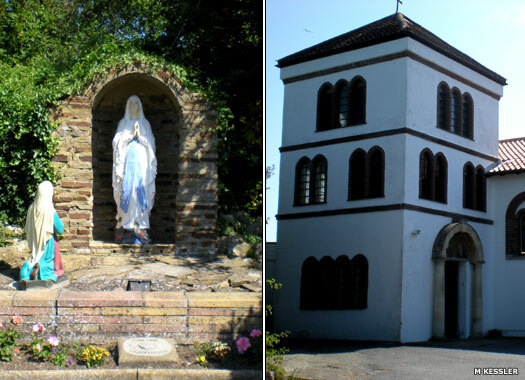 Catholicism slowly re-emerged in Britain after the Reformation, and by the middle of the 1800s the small number of Catholic worshippers in Birchington were travelling to other communities to worship. The population of the village rapidly increased after the arrival of the railway in 1863, and the numbers of Catholics also grew. They eventually began meeting in the Institute at the back of the Square. In 1908, a three-sided wagon shed was converted into a church in Minnis Road, beside the Malt Houses. A presbytery was added at the front and the little congregation grew in strength. By the time the Second World War had ended the church building was covered from top to bottom in ivy. 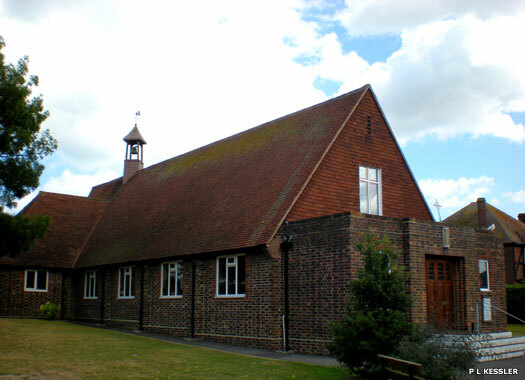 In 1959, the church was rebuilt to a larger scale on the same site, while the presbytery was moved over to the left and a hall added at the rear, to establish the building seen today. St Thomas Minnis Bay is a daughter church of All Saints, and is located on the main road north-west from the station, in the newer district of Minnis Bay which was created when the village became a popular seaside resort. 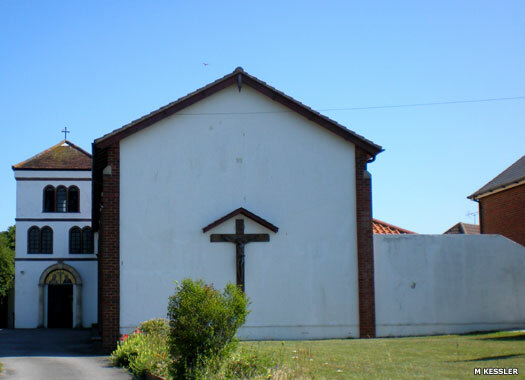 The church was built in 1932 when it was felt that the community at Minnis Bay needed its own Anglican place of worship. The earliest services were held in Arthur Rayden's Pavilion in the 'Dip', officially until such time as a small iron church could be built. The iron church never materialised, probably due to a lack of funds. Instead, in 1924, the new archbishop of Canterbury accepted the generous gift of a site for a church at the Bay from Mrs Haidee Kearns in memory of her husband, Col Thomas J Kearns, along with a handsome donation of funds. The foundations began to be dug during 1931 and the first service was held on Christmas Day 1932. Beautiful stained glass windows were added around the turn of the Millennium. The Bay United Reformed Church is on Ethelbert Road. 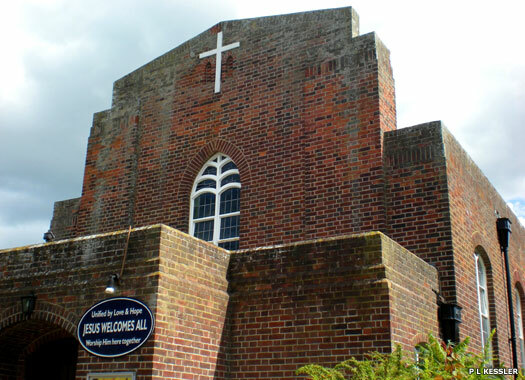 It began life as an Inter-denominational Church founded by Charles Robert Haig of Minnis Bay in 1885. 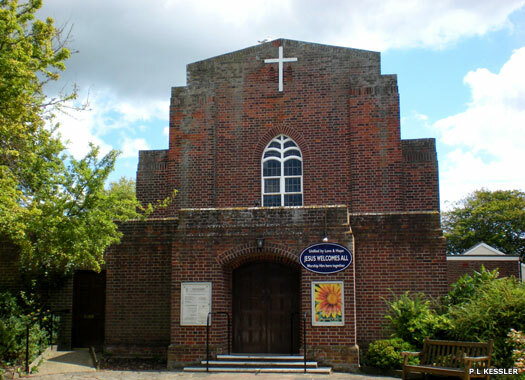 It became known as 'The Bay Church' and provided a focal point for the growing and thriving community of Birchington Bay, as it was then called. The Coast Guards in the cottages next door built it in two weeks from wood left over from the Exhibition Building. In 1908 the church was affiliated to the Congregational Church Union. In 1931 Mrs Annie Erlebach donated a sizable sum for a new church, so the decision was taken to raise a new brick-built church with a hall behind. Work began on the hall in 1933 and when completed, services transferred there, while the old wooden church building was demolished and the new church was being erected. On 5 May 1934, the new Bay Congregational Church was dedicated and opened. 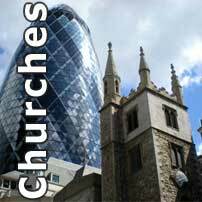 In 1972 this joined the United Reformed Union of free churches. Three photos on this page contributed by M Kessler.